It is imperative that driver’s obey road closure signs. The above roads have several areas of significant debris in the roadway. Additionally, the area of Lockwood Valley Road between Highway 33 and Chico Larson Road has several hazardous creek crossings including the Reyes Creek crossing. 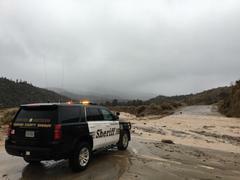 The Reyes Creek crossing is severely flooded making it impassable. 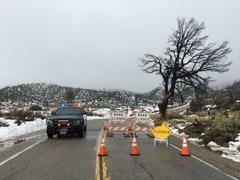 The Ventura County Sheriff’s Office is working collaboratively with the Ventura County Public Works Agency to open Lockwood Valley Road as soon as it is safe to do so. 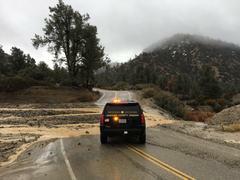 The California Department of Transportation is actively working to remove debris and mud slides from Highway 33. Please stay off of these dangerous roads until the road crews have completed their work. Road closure information and conditions will be available at www.dot.ca.gov and www.vcpublicworks.org .